My boss has asked me in my last two performance appraisals what I enjoy about my job and each time, I say that having this job will make me 10 times wealthier in my personal life. I don't mean that I'm making a ridiculous salary. (Maybe someday...) I mean that looking at borrowers all day lets you see all kinds of slices of life — and hopefully learn from them. Don't buy a house you can't afford. Don't buy two houses you can't afford. Don't roll your eyes at me; I know everyone is saying that in this economy. But I've seen people who have stuck their necks out even in this economy, thinking they could afford that jumbo home because their income would certainly increase in the future. Or their kids need a place in the country to enjoy while they're still young. Or they can sell when the market picks back up, make a profit, and get another nice place. It's never a good idea! Those who are surviving and thriving in the long term are those who stick to the old rule of a mortgage that is 2.5 times their income or less, and 15-20% down. And that second home in Arizona you bought because it was a short sale? If you can afford to hold onto it, then fine. If not, well, as we say in my department: Hope is not a strategy. If you make $1 million a year, at least have something to show for it. No, I don't mean toys. Although they're fun, and awesome, and make you look cool, I can tell you when someone lists $450K of furniture and autos on their financial statement, I see a big fat Zero. That is, depreciating assets don't mean anything when it comes to your net worth. Do me a favor: If you win the next $64 million lotto jackpot, at least keep a measly 1% or so of after-tax money in CDs or treasuries. I once saw a guy who made nearly a hundred million dollars in one year, who had about $24K in cash. True, he could have been lying on his statement, but really? How nice would it have been if he saved 10%, especially because he lost nearly that same amount the next year? This one is a little heartbreaking, but I see it all the time. Tom has had a small, successful restaurant for 25 years. He makes, say, $100K per year. Not a bad deal. But Tom sees others making oodles of money in real estate investing, so he puts two and two together and decides to build an enormous, gourmet restaurant in the next town over. Then he can double his business and own his own piece of investment real estate! He proceeds to build his $5 million restaurant, using all of the $300K he's saved for retirement, pledging his house as collateral on a bank loan and borrowing $1 million from friends and family. Calculated risks are OK. Investing your retirement money in a well thought-out venture when you're 30 is OK. Pledging your house as collateral on a loan is OK. All of these things separately is OK, but not all at once. You have nowhere to turn, and I see it all the time. I've even seen parents pledge their homes as collateral on an adult child's loan. It goes bad, and grandma and grandpa are homeless in retirement. 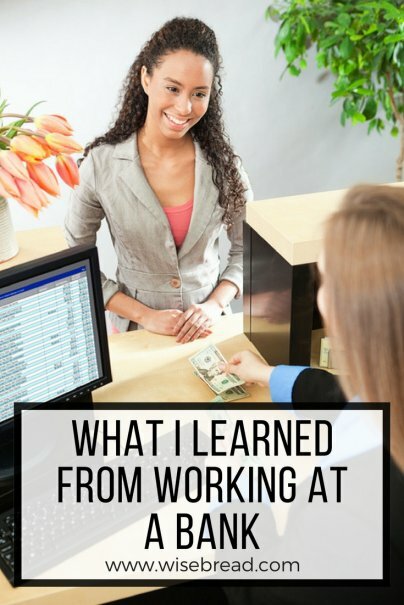 So there you have it: the top things I've learned from working at a bank thus far. Although I'm amazed every day at the poor financial choices some people make, let me be clear: I see at least as many (and probably many more) who make great decisions and grow their net worth year after year. With a host of examples, now I know how to avoid the pitfalls, too. Seen anything similar in your own experience? Share your story! I think the thing that soured me on working at a bank was the day I turned a man down for a loan. He was making over $200,000 per year (in 1988) and I was making just over $13,000. But I had a parking space with my name spray painted on it! Don't bet the farm is great advie on so many levels. Getting into something ou don't know a lot about, starting off in a new business, etc. Perfect advice for just about anyone. What I've learned from working at a bank.......That there is a lack of basic money commonsense. I had to tell someone that their checking account was overdrawn. She looked at me and said "That's impossible. I still have checks." I was dumbfounded!!! The formula that was used to determine the housing cost to income ratio (2.5 times your income)-Is that gross or net? What is a good formula to go by when determining the housing costs that you can afford? Thanks for the comments -- keep 'em coming! Christina: The rule of 2 - 2.5x your income is based on gross, rather than net, income. This is a fairly conservative rule, but certainly a good one to live by and reasonable if you have other significant debts (student loans, credit cards, etc.). This article via SmartMoney Magazine (http://www.smartmoney.com/personal-finance/real-estate/how-much-house-ca...) uses the figure 3.5 times your income, though I would venture to guess they are using net income, rather than gross. When you use my salary, 2.5x gross income and 3.5x net are very similar figures. I work at a bank too, and as a Private Banker where my clients are supposed to be "wealthy." What I've learned is that most of the "wealthy" people you see driving luxury cars and shopping constantly and living in million dollar homes are living paycheck to paycheck - they just have a bigger paycheck than most. I read the article twice and I'm still smiling. It's quite refreshing to read a new voice with lots of good advice to offer without overwriting it. 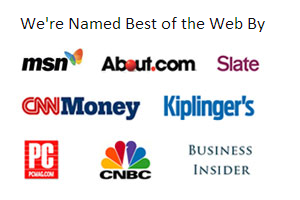 I'm a bestselling novelist with a banking background but I'm rather new to writing blog pieces. Thanks for reminding me why I started writing in the first place. Thanks for your comment! I'm glad it brought some new perspective to the field. In these times of economic struggle, it really is wiser to set 60% of one’s money aside for saving in a bank and making everything else fit in the 40%. Tom’s story in your “Don’t bet the farm” advice is saddening, and it could totally have been avoided. If he was looking to get a bit more profit, it probably would have been wiser to upgrade his current branch first before he built a new one somewhere else along the way. He would have risked a lot less, and would have had a lot more to keep away in his bank account.